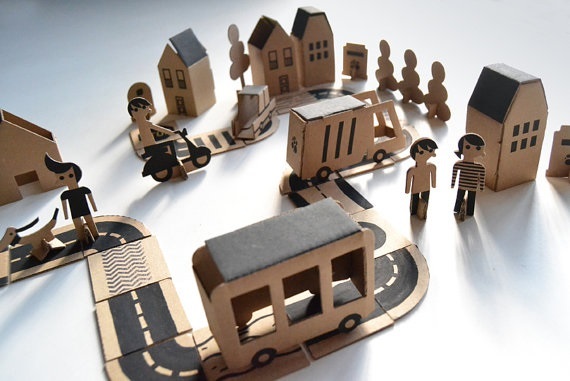 Your little ones can design and construct their own mini metropolis with Bloc City – a cardboard cut-out game from Milimbo, the coolest cardboard crafters on the Etsy block! I love a game for kids that requires thought and creativity, so Bloc City by Spanish creatives Milimbo instantly caught my eye. It’s a self-assembly city made from recycled cardboard. 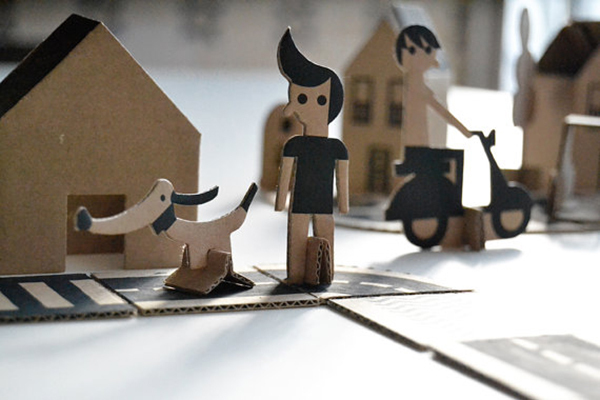 The handmade kit comprises three die-cut cardboard kraft sheets with houses, trees, vehicles, plus various characters including a cyclist and a cute dog. Your budding little city planner can have fun popping out the shapes from the cardboard sheets before getting down to the serious business of designing their own road system from the patterned street cards. Creating different winding roads, building buses and houses, and moving around barriers, signals, bridges, trees, etc will keep kids entertained for hours (okay, perhaps thirty minutes for the younger set, but we can live in hope!). I can see why Bloc City is recommended for children from four years old as I showed this game to my 18-month-old son and he ended up using a cardboard house as a teether, resulting in one very soggy city! 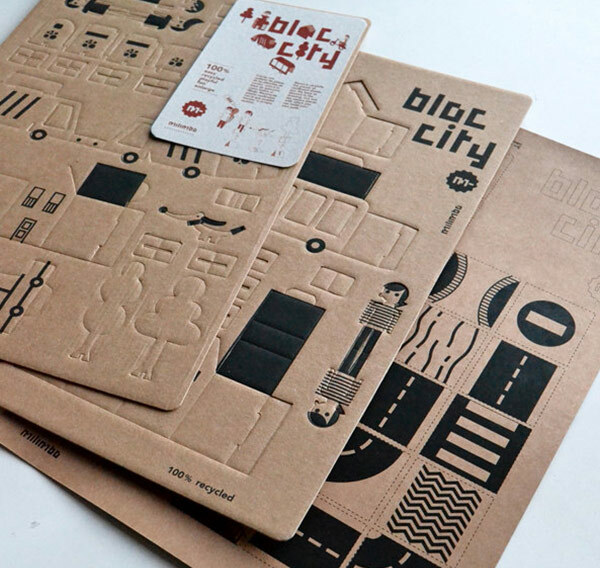 Bloc City is priced $26 from Milimbo on Etsy, plus delivery to Australia. 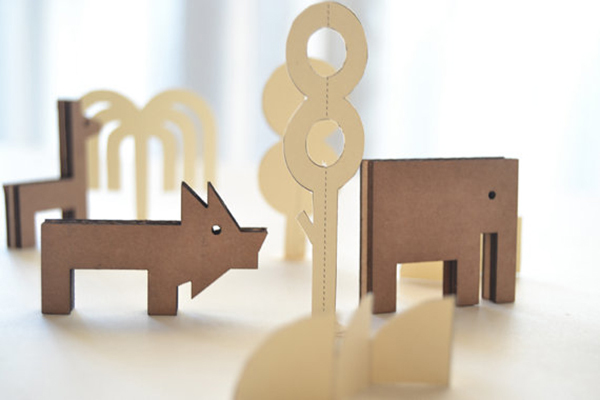 If you love handmade cardboard creations like Bloc City, check out Milimbo’s awesome little animal set Mini Jungle. 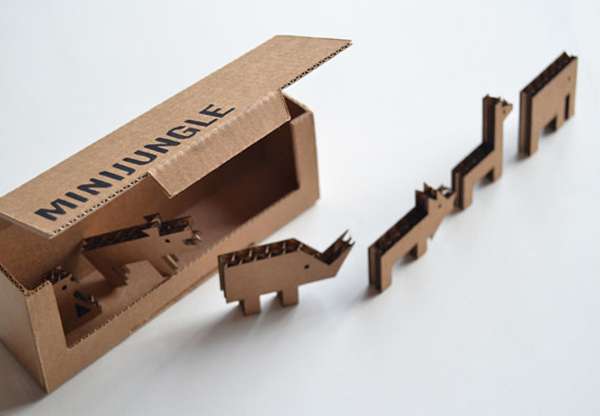 A cardboard box – measuring a very compact 16cm x 5.5cm x 3cm – houses a set of six animals, including a giraffe, rhino and elephant (made from recycled cardboard, of course), plus a sheet of paper trees to create a mini forest. We love Mini Jungle because it’s small enough to keep in your bag for toy time emergencies and easy to take with you for weekends away. Yes, it’s simple, but often simple ideas are the best and that’s certainly the case with this cute cardboard kit. Mini Jungle from Milimbo on Etsy is priced $18, plus shipping to Australia.